Silverfeet Hoof Balm comes in 4 different colours, Natural, Black, Girly Pink & Boy's Blue. The pink & blue colours are designed to be appealing to children & as Silverfeet doesn't contain any chemicals, it is safe for children to use. When applied, it doesn't change the colour of the hooves, rather enhances their natural colour, giving them a bright shine. The black colour gives a black shine. 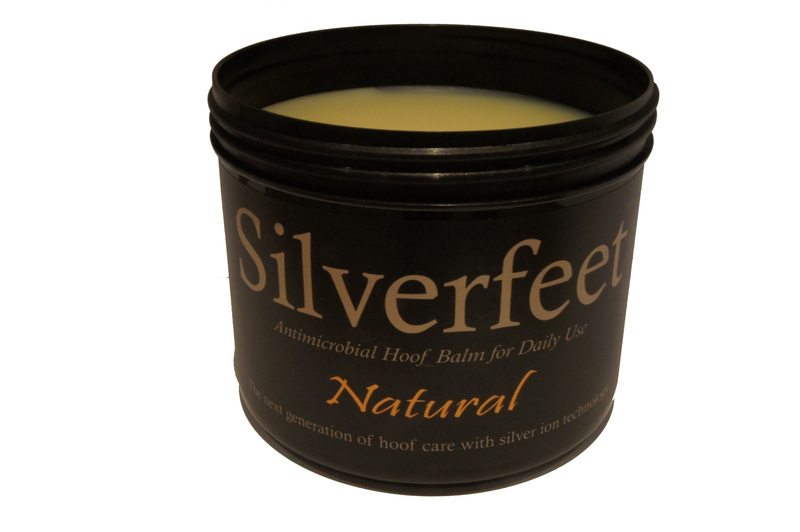 Silverfeet should be applied daily all over the foot, including the hoof wall, frog & sole. It acts as a barrier, to protect against the environment; it smells nice & can help prevent hoof odour too. It has a beeswax/vegetable oil base & contains essential oils, as well as the key ingredient of silver.